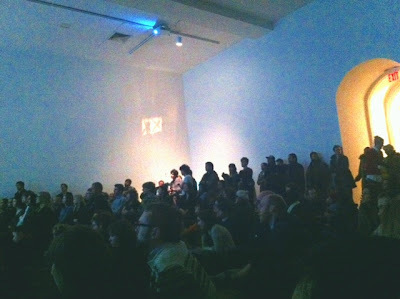 This past Saturday, I was joined by the lovely Ce Ce Chin, at MoMA PS1 for Saturday Sessions hosted by Brandon Stosuy. 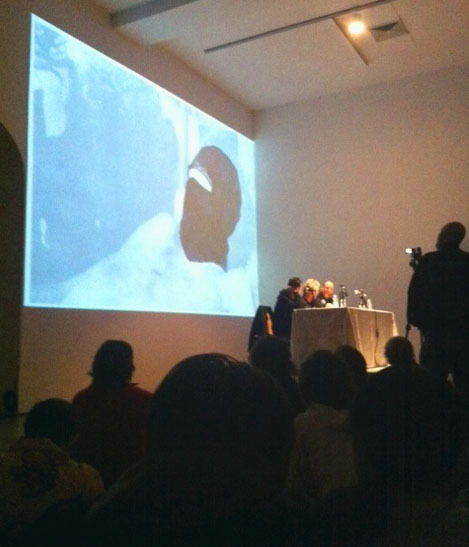 The event commenced with a panel featuring Brandon, writer and curator Klaus Kertess and artist Adam Helms. Klaus proceeded to have a dialogue with Adam about the progression of his work spanning the duration of his career. While they spoke, a digital presentation chronologically displayed his drawings and installations leading up to the most recent exhibition at Marianne Boesky, which I wrote about here. They spoke to a packed house! Adam discussed his inspiration in utilizing both known and unknown militia subjects found on the Internet. Something he mentioned having interest in, which also interests me, is “digital dirt”, his terminology for the pixelization of found Internet imagery. The ephemera we are able to gather throughout the web can now be considered artifacts that trace moments of time and history. Adam seeks out these portraits to make drawings, referring to the photographs as “endorsement of the process”. As one who also uses photographic imagery to make paintings I can understand the process and can relate to it as a form of assemblage. After the panel and a few questions from the audience, there was a special performance by Nate Young and John Olson as STARE CASE. 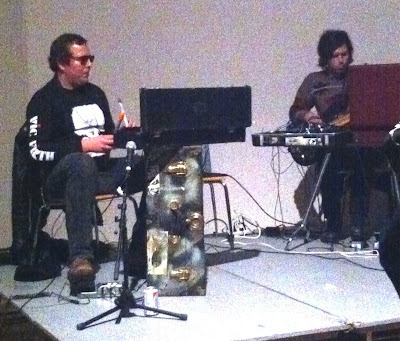 The two normally perform in the post-industrial/noise band Wolf Eyes and came together on Saturday for what Adam referred to as their “Blues” project.